If you, or a loved one, have been injured in a hit and run accident then you may think that, if the driver has not been identified, that you can’t make a compensation claim for any injuries sustained but that’s not always the case. 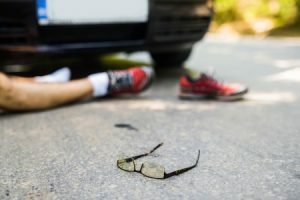 There are schemes in place in the UK which protect injured parties following a hit and run injury which means, here at Advice.co.uk, we can help anybody who’s been injured if the accident was caused by the driver who left the scene. This is true for pedestrians, cyclists, motorcyclist, passengers and drivers as well. If you’d like us to begin a claim for your injuries today, then please call us on 0161 696 9685 and one of our team will listen to the details of your accident right away. If you’d like to know more information first, then carry on reading this guide. What Can A Hit And Run Injury Claim Include? What Are Hit And Run Accidents? What Can Cause A Hit And Run Accident? Where Can You Claim Compensation From After A Hit And Run Accident? Should I Claim Through My Own Insurance? What Steps Do I Need To Take If Injured In A Hit And Run Accident? How Do I Start A Hit And Run Injury Claim? Why Make Your Claim With Our Team? Any road traffic accident can be traumatic, regardless of the injuries sustained by any victims. When the person responsible flees the scene of the accident though (known as hit and run), the trauma is multiplied. The other driver may have left the scene because they simply weren’t aware the accident had occurred, had committed a criminal offence such as drink driving or were uninsured and wanted to avoid criminal prosecution. Whatever the reason for a hit and run accident, this guide will explain what you should do in the event of an accident, what amount of compensation you may be entitled to, who the Motor Insurers Bureau are and how no win no fee services can be used to make your claim. We want to ensure that you’re fully equipped with the correct information prior to making a claim so, if you can’t find all of the information you need within this guide, you can contact one of our team for free legal advice about making a hit and run accident claim. When some people start making a claim, one of the first things they look for is a personal injury claims calculator to see how much compensation they may be entitled to. Unfortunately, calculators aren’t really very accurate as it’s impossible for them to calculate all of the different parts of a claim that can be made (when you read the next section, you’ll understand this better). This shows the compensation range that can be applied to any particular injury. For a more thorough assessment of your injury and to get a better estimate of how much compensation you might receive, give us a call to speak with one of our specialist advisers. As discussed in the previous section, a hit and run lawyer can use multiple elements in a claim to ensure their client is fully compensated for both physical and financial losses. These constitute the financial compensation awarded to cover the pain and suffering caused because of the injuries, examples of payment amounts can be seen in the table from the previous section. If any item of personal property was damaged during the accident such as clothing, your mobile phone or jewellery then the cost of replacement or repairs can be claimed back. There are some cases where NHS treatment isn’t sufficient, and more specialist care is required. If this can be proven by medical experts, then the costs can be claimed back. Ensure you speak with a personal injury solicitor prior to undertaking this kind of treatment to ensure you’ll be able to claim the cost back. If you have to change jobs because of your injuries or are unable to work at all then it is possible that you will be compensated for future lost income. The same is true if you remain in your job but require time off to recover or to attend medical treatment. In this case, if your employer doesn’t offer full sick pay, then you can claim for the lost earnings. These are just a sample of the parts of a claim your solicitor can make so it’s vital that you give them as much information as possible. Once a claim is settled, you are unable to go back and ask for more compensation, even if it is a valid claim. Hit and run, by legal definition, is when a driver involved in an accident leaves the scene before identifying themselves including; their vehicle’s number plate and any other information that, by law, they are required to, such as their insurance details. Hit and run accidents make up about 12% of all road traffic accidents in the UK (or those that have been reported to the police, which isn’t every accident). Other reasons that people commit hit and run offences include drink driving, dangerous driving, panic, no insurance for the vehicle they’re driving or fear for what might happen to the them. When you sustain a hit and run injury, there are still a number of ways to make a claim for compensation, depending on if the driver can be tracked down or not. Advice.co.uk can offer you free legal advice, once we’ve understood your accident better. The Motor Insurers Bureau is a non-profit organisation which can help compensate victims of hit and run accidents or where the other driver was not insured. 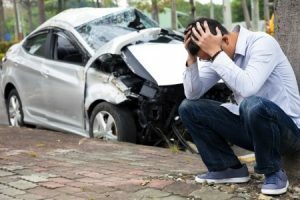 They can compensate you for injuries to anybody in the vehicle, or pedestrians, cyclists or motorcyclists or drivers where you can prove that the other driver didn’t stop at the scene of the accident (usually with witness reports and police crime reference number) and that the injuries you are claiming for were caused by the accident (usually with medical records from a doctor or hospital). If the driver is wanting to claim it will have to be proved that the third party driver was to blame. It is vital that the incident is reported to the Police right away in order to claim through the MIB. In the event that your own vehicle is damaged, the MIB may also pay out for the costs of repair in certain circumstances. It would have to be proven that the third party driver driver was at fault, so dashcam footage or witness statements could be vital. Here at Advice.co.uk, we have specialist advisers who can help you with the complexities of claiming through the MIB if you wish to go down this route so please get in touch. You can always make a claim for damage to your vehicle from your own fully comprehensive insurance policy but the problem, in most cases, is that you’ll have to pay any excess costs on your policy and also are likely to lose your no claims bonus. If you do go down this route your insurer is likely to ask for evidence including the crime reference number, the other vehicle’s details, witness details and photographs showing the damage to the vehicle. Speak to our team if you’d like to no which type of claim would be right in your case. As a parent, guardian or responsible adult you may be able to claim for compensation if a child is injured by a hit and run driver by becoming a litigation friend. This means that, up until the child turns 18 you could seek compensation for the child’s injuries and, in serious accidents, any modifications to the home and any care costs. If you don’t do this, the child has 3 years from their 18th birthday to make their own compensation claim. Head and brain injuries where there is an impact to the head. This could the steering wheel or seat in a car or with the pavement in the case of pedestrians involved in hit and run accidents. Back injuries can occur when the car is hit from behind. The severity of the injury can vary massively depending on type of impact ranging from minor bruising through to complete paralysis. Neck injuries are common in car collisions, especially whiplash injuries but in more severe cases this can result in injuries that require physiotherapy, surgery and long-term care. Internal injuries can occur from other injuries such as broken ribs puncturing internal organs like lungs. Some injuries aren’t immediately obvious which can be very dangerous and cause long-term problems. Psychological damage can occur following the trauma of a hit and run accident such as Post-Traumatic Stress Disorder or PTSD. This is a small sample of the more common injuries caused by hit and run accidents but the team at Advice.co.uk can help with any type of injury so long as the hit and run driver was the person who caused the accident and subsequent injuries. Whiplash is a very common injury sustained in road traffic accidents, even when the impact was fairly minor. The symptoms may not be immediately obvious and can resolve itself over days or weeks following any accident but you should ensure you visit a doctor for a proper assessment and treatment of your injuries to ensure there is nothing more serious causing any pain. There is no scenario in which money can compensate, or replace, the death of a loved one following a hit and run accident but there are cases where it’s important to make a claim. Under UK legislation a dependent of the victim can seek compensation in the same way that the victim could have, had they not been killed in the accident. It can be vital, especially if the victim was the main breadwinner in the family, as the claim can help the dependent person to be able to cover everyday expense while they adjust following the fatality. A dependent can be a partner or spouse, a relative, somebody who’s co-habited with the victim for at least 2 years, children (including step and adopted children) and parents or grandparents of the victim. We understand that this type of claim will be difficult as well as complex so we can offer free legal advice to you, with no pressure or obligation, should you need it. The short answer to this question is, yes. If you’ve been injured while cycling by a hit and run driver you could seek damages from the MIB. If the third party, who left the scene was responsible for the incident and your injuries you could be able to seek compensation for any injuries caused by a hit and run driver. Please call one of our specially trained advisers for further advice on how to begin a claim. Personal Injury Claim 3 Years from date of incident or knowledge of injury. If you’re unsure whether your claim is still valid, please contact us for verification. When you’re involved in a hit and run accident, you’re very likely to be dazed and confused by the ensuing situation but the first concern should be to seek medical treatment for any body who’s been injured in the accident. You should also report the crime, as all hit and run accidents are criminal offences, to the police, either by dialling 999 or 101 for less urgent accidents. The police may attend the scene or ask for details over the phone but, to be able to claim from the Motor Insurers Bureau, you must report the accident to police. Writing down the number plate of the other vehicle if you saw any part of it. Writing down the details of the car such as colour, make and model and their direction of travel following the accident. Asking any witnesses for a statement of what they saw at the time of the accident, their contact details and, if their vehicle has a dashcam, ask for a copy of the recent footage. Photograph the scene of the accident, including any damage to your own vehicle and any immediately obvious injuries. All of these will provide evidence that the accident happened and help a personal injury solicitor to begin a claim for you. The first thing to do, to begin your claim, is to get in touch with us at Advice.co.uk. We have a team of claim specialists ready to take the details of your claim and who can advise on how likely you are to receive compensation for your injuries. We offer a free consultation to start with and then, if we agree that your case is likely to be won, we’ll connect you with a personal injury solicitor who works on a no win no fee basis. One of the main reasons people don’t claim compensation for accidents, including hit and runs, is that they worry about the financial risk of making the claim. With no win no fee claims, this worry is taken away because, if the solicitor loses your case, then you don’t pay them for any of the time they’ve put in to preparing your case. When you sign up to no win no fee, you’ll be provided with a Conditional Fee Agreement (CFA) which specifies how much of your compensation the solicitor will keep (up to a maximum of 25%) if they win and then, when compensation is received, they send the remainder to you. It is true that with other types of agreements, you’ll keep 100% of any compensation that is won for you, but you have to pay the solicitor out of your own pocket, even if they lose the case. Whether you’ve been involved in a minor hit and run accident or are claiming because of fatality, Advice.co.uk can help with claims from anywhere across the UK. We are personal injury specialists and only work with solicitors who offer no win no fee agreements. Telephone: Call us on 0161 696 9685 to speak with a member of our team straight away. However you choose, we’ll always offer free advice and a free consultation prior to any claim you decide to make, we’ll honestly assess your claim and advise you if you’ve got good grounds to continue with a no win no fee claim. If you have been involved in a hit and run find out if you are eligible to claim compensation through the Motor Insurers Bureau ( MIB ). View our guide to making a car accident claim for injuries and car damages. How To Claim Compensation For A Pedestrian Accident Claim? If you are a pedestrian who has been injured in a hit and run accident find out if you are eligible to claim compensation and get free legal advice. Have you been knocked of your cycle by a hit and run driver? find out if you are eligible to claim for a cyclist accident contact us today. Whiplash Injuries – a guide from the NHS about whiplash injuries, symptoms and treatment. Motor Insurers Bureau – the non profit organisation setup to protect those injured by uninsured drivers and hit and run victims. If you require any further information, then please contact a member of our team.